Kobe Bryant has been one of the NBA’s top players since joining the league fresh out of high school in 1996. The career-long Laker has 5 NBA championships under his belt, 2 Olympic Gold medals, and has been selected to 17 NBA All-Star teams, including 15 (soon to be 16) consecutive selections between 2000 and 2015. However, regardless of an athlete’s talent, growing older is inevitable. And with age comes the higher risk of injury, which Bryant fell victim to. The future hall of famer suffered season ending injuries for three consecutive seasons beginning in 2013. Finally healthy to start the 2015-2016 season, Kobe announced on November 29, 2015 that the current season would be his last. Although fans of opposing teams loved to hate Bryant throughout his career, in the end, they love to watch him play and respect his talent. With three weeks remaining in the NFL regular season, three of the 12 possible playoff teams have punched their ticket into the NFL’s second season, while the other nine spots are obviously up for grabs. In the AFC North, the Cincinnati Bengals seemingly wrapped up the division but after losing quarterback Andy Dalton to a thumb injury, the division is anything but a sure thing. The Pittsburgh Steelers trail the Bengals by two games for the division lead. The AFC South has a three-way battle between the 6-7 Indianapolis Colts and Houston Texans, while the 5-8 Jacksonville Jaguars are still alive for a playoff berth. The AFC West will most likely be handed to the Denver Broncos, with the Kansas City Chiefs making a second half push that will most likely land them an AFC Wildcard spot. Speaking of the AFC Wild Card spots, the New York Jets, Chiefs and Steelers are all 8-5 but only two of the three teams will advance. Veteran rock band Van Halen will be hitting the road on Sunday, July 5, for the start of their North American tour. The band, which boasts a collective 40 years as a touring act, will feature David Lee Roth as their front-man and 16-year-old Wolfgang Van Halen (son of guitarist Eddie, and nephew of drummer Alex) as their bassist. They will be bringing Kenny Wayne Shepherd as their supporting act, as well. The 40-date tour kicks off in Seattle, Washington, will criss-cross the continent, and will conclude on October 4 in Hollywood, California. This tour marks the third time this incarnation of the band has taken to the road as a unit, and previous tours have been notably successful. In 2012, the Different Kind of Truth tour grossed $54.4 million, according to the Billboard Boxscore, and ranked No. 8 among all tours. 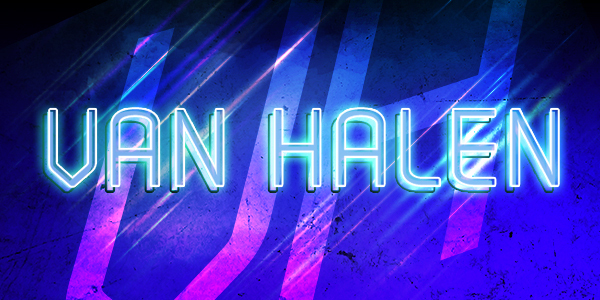 Van Halen is used to touring indoor arenas, and so the amphitheater tour will be a bit of a change for them. Nevertheless, the tour should reel in their core fan base despite the fact that they will not be touring in support of any new material. Although it was a huge success, the band’s 2012 tour ended on a negative note after they were forced to cancel the 30-date final leg, and so their upcoming tour should be a positive effort in regathering fans. On the secondary ticket market, ticket prices are competitive. Across the board, the average<>ticket price to see Van Halen is $208.61. The cheapest show available is their August 23 date at Hershey Park Stadium in Hershey, Pennsylvania. For that show, tickets are going for an average of $128.99, with a get-in price of $35. The most expensive date on the tour is their August 9 show at the PNC Bank Arts Center in Holmdel, New Jersey, where the average secondary price is $321.64, with a get-in price of $40. Not far behind Holmdel’s pricing are Van Halen’s scheduled dates in Hollywood, California and Houston, Texas. According to Billboard, LiveNation is projecting that the tour could gross more than $30 million and finish as one of the top-grossing outdoor tours of the summer. It wouldn’t be much of a surprise for the classic rockers to break new ground, given their past history on the road and their known ability to sell tickets. Legendary singer-songwriter James Taylor will be hitting the road this summer in support of his most recent album release on June 16, Before This World. Before This World, which features contributions from artists Yo-Yo Ma and Sting, was Taylor’s first batch of new songs in 13 years, as his 2002 album, October Road, had stood as his most recent album until now. 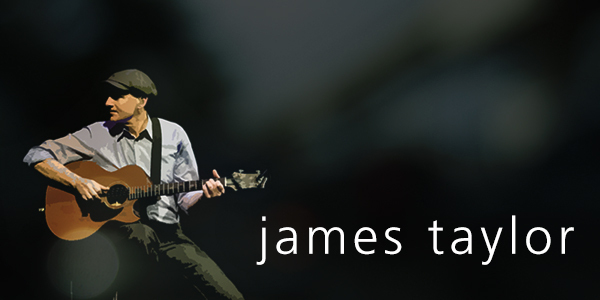 James Taylor’s tour will kick off on July 2 in Allentown, PA. Although the tour is roughly just a month long and stays mostly around the east coast, the Massachusetts native has some major dates in store, including Boston’s Fenway Park on August 6 with Bonnie Raitt. Massachusetts fans should get excited; Taylor is set to sing his new track, “Angels of Fenway,” which is a song about the Boston Red Sox’s legendary comeback to win the American League Championship Series in 2004 against the New York Yankees. World-famous music legend Paul McCartney is moving in towards the end of his two-year international tour, “Out There,” which kicked off May 2013 and is on the verge of wrapping up this summer. The former Beatle will be playing a few select U.S. shows, including dates in Philadelphia, Charlottesville, and Columbia. McCartney has also grabbed two major headlining slots for the Dover, Delaware-based Firefly Music Festival, as well as Chicago’s annual festival event, Lollapalooza. In 2013, he headlined the Manchester, Tennessee festival, Bonnaroo, alongside Tom Petty and Jack Johnson. Even after 58 years of performing and touring the world, Paul McCartney remains in incredibly high demand – both the Firefly Festival as well as his Philadelphia date quickly sold out. The June 21 show at the Wells Fargo Center in Philadelphia actually marks his first concert in the City of Brotherly Love since 2010. According to data culled form the TicketNetwork Exchange, the average Paul McCartney ticket price on the secondary market for his Philly show is going for $326.77, with a get-in price of $184. By comparison, a four-day festival pass to see Sir Paul and dozens of other top acts (including The Killers, Kings of Leon, Morrissey and Snoop Dogg) averaged $317 – approximately $10 cheaper than Paul’s solo show, which is, of course, limited to just a single evening of music. 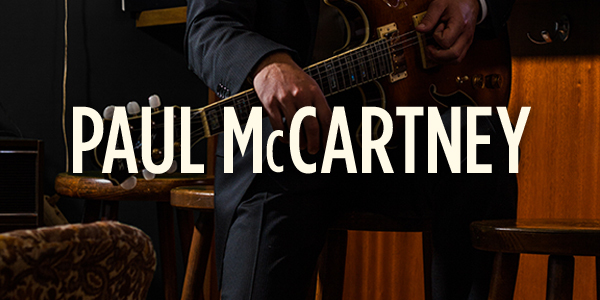 His additional U.S. dates are equally competitive, regardless of the geography – the average Paul McCartney ticket price for his Charlottesville show sits at $169.12, with a get-in price of $23, and his Columbia, South Carolina show is averaging $198.86 with a get-in cost of $64. Paul will cap off his summer in Chicago at Lollapalooza, where he will share the main stage with artists Metallica, Florence + The Machine, Sam Smith, and Bassnectar. He was last seen playing the festival in 2013, and anticipation is high for his return. A three-day pass for Lollapalooza is currently averaging $451.34 on the secondary market, while the get-in price sits at $307. Paul McCartney fans will not be disappointed with his performance, as he is still renowned for being one of the few artists who performs for a solid three hours each show – and at age 73, no less. Can his festival-mates say the same?